you can't help but happy cry. I met up with Mallory at a coffee shop a couple months back to get to know her and see if I'd be a good fit for her. 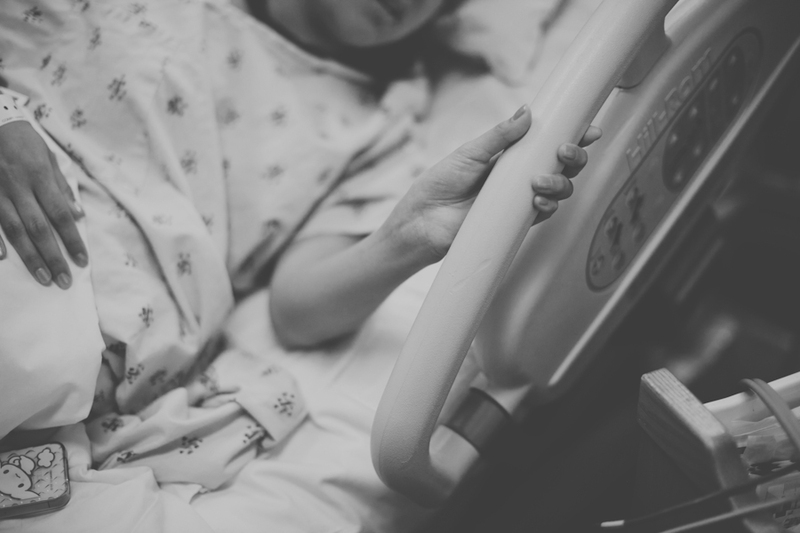 She wanted to hire me to photograph the birth of her first baby, who would happen to be born via surrogacy by her sister-in-law and best friend, Brooke. I sat there overwhelmed with joy as she shared how she and her husband, Brian, would finally be parents after years of struggling with infertility and how Brooke selflessly offered to be her surrogate. It didn't fully sink in, but I knew photographing the birth of Mallory and Brian's son would be nothing short of a miracle. Flash forward to last week, I finally got to photograph their birth story (a week earlier than their planned induction date). 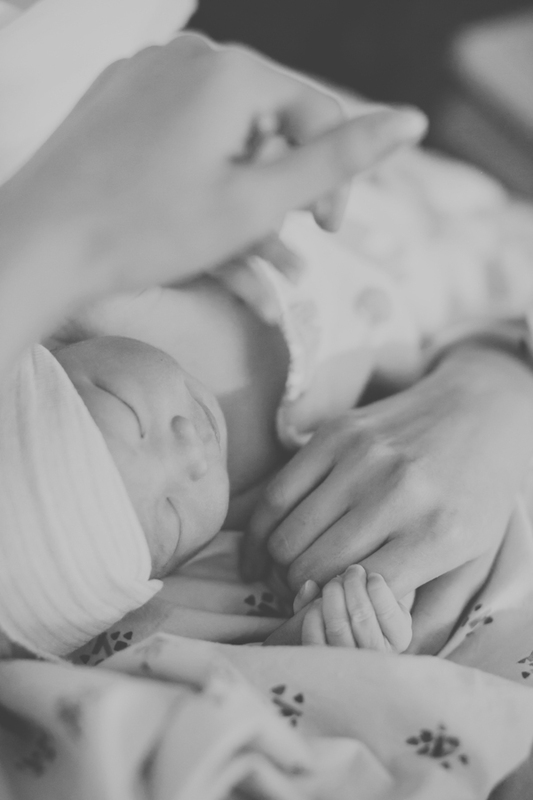 While every birth I photograph is special, Mallory, Brian, and baby Luke's story especially spoke to me. Since getting married, babies have been on my mind as the next logical step. I'm married, in my thirties, but in my mind, essentially "running out of time." I wonder what it would be like to have a child, if I will even have children, how crazy a mom I'll be, whether I'll have enough time, how expensive adoption really is, when I'll be "ready"...etc; I've considered every worst-and best-case scenario. Some people get pregnant quite easily while others don't. Unfortunately, a lot of factors prevent people from having children, and I often wonder if I'll be one of those people. Speaking with Mallory, I'm more aware how much of a reality infertility is, but being a part of their amazing birth story in a way gives me hope in my own future fertility and birth stories. I feel like in photographing their birth story, I gained more than anything I could ever give them in pictures. They gave me the hope of children of my own. They gave me assurances of God's providence and plans. They've changed the way I see love and sacrifice and the preciousness of bringing a baby into the world. After ten hours of shooting at four in the morning, I finished photographing this incredible birth story, completely exhausted and sore all over, yet I went home utterly euphoric. Even now I can't put into words how beautiful it was to witness such an outpouring of love in this gift of surrogacy. I'm so overwhelmingly thankful to Mallory and Brian and all of their family for sharing this unforgettable, precious moment with me. Baby Luke is soooo blessed to be born into such a loving family. Photographing the birth of Monica & Brandon's second baby began long before the day Lindsay arrived. I was so excited when Monica texted me that she and Brandon found out they were pregnant with their second baby and that she wanted me to photograph the birth. I immediately put her due date on my calendar and spent the next 6 months or so avoiding bookings and prolonging vacations. As the months went by Monica shared details of Lindsay with me over eggs benedict and burritos and other delicious meals. I was soooo excited! When Lindsay finally decided to meet us all, it was about a week and a half before her due date. Monica called early in the morning just as I was going to bed from an all-nighter.... her water broke. She wasn't having any contractions, so I knew I could squeeze in a nap. So after collecting all my gear and packing a day bag, I went to sleep, setting my alarm to wake me up every two hours to check on the progress of Monica's labor. By the time mid-morning came along I headed to the hospital. I arrived to find Monica in good spirits, sitting on a yoga ball. She had walked literally miles within the hospital while laboring before I arrived. (What a trooper, right?) It's funny for me to witness women in labor now. After photographing so many births, I'm fascinated how each birth and each woman is so different. Soon after I arrived Monica got an epidural and took the opportunity to rest, at which point I headed to the waiting room and got to know Monica's mother. I spent the next couple of hours working on my laptop in the waiting room and checking on Monica's progress. I had just returned to the waiting room from Monica's room, when she texted that it was time. Monica pushed for under twenty minutes, and Lindsay came right out. Lindsay was as sweet as could be. With her little toes and little fingers. It was a different experience for me to photograph this birth. I felt more connected to this birth than others (except my own niece, of course.) Monica has become such a dear friend and I loved seeing her experience this pregnancy. And loved holding Lindsay for the first time. I'm excited to see how much Lindsay's grown. Today I get to see her for the first time since her birth. Last week marked the first month of little Lindsay's life and today I get to see her for the first time since her birth. I'm soooooo excited. I love babies! Monica's son had a fever, so she had to talk to him via FaceTime. It's kind of crazy to me how many kids my parents had. Even more so that my dad was our sole provider while my mom stayed at home with all of us as kids. Over the years he's shown me what kind of man to look for in a husband and even more how much I have to be thankful for. I'm like him in so many ways and could not be where I am today without him or my mom. I really do have great parents. And over the years of my own ungratefulness and hormonal angst and negativity they've always loved me. * The first picture is of me and my dad circa the late 1980s. One of my favorites of me and my dad. (please forgive the poor quality. I don't have a digital copy of actual picture handy.) The second picture is my favorite father/daughter picture I've taken over the years. It's my brother and his first daughter at the hospital the day she was born. So I'm here at the hospital in labor and delivery again to shoot another birth. My last birth was three days ago, and for a long time I was scared these two ladies would have their baby on the same day. I think it's baby season. I also did a newborn shoot on Friday right before that first birth. March was like this as well. Three births in one week. I'm filled with so many adjectives. anxiety. exhaustion. happiness. excitement. joy. curiosity.